Yael Schnell was born in Haifa, Israel. She danced in the Bat Sheva Dance Co. between 1994-2002. Aside from working regularly with Ohad Naharin, Yael worked also with choreographers such as Jiri Kylian, Paul Selwyn Norton, Tero Saarinen, Angelin Preljocaj and more. After leaving the company, she moved to Berlin. 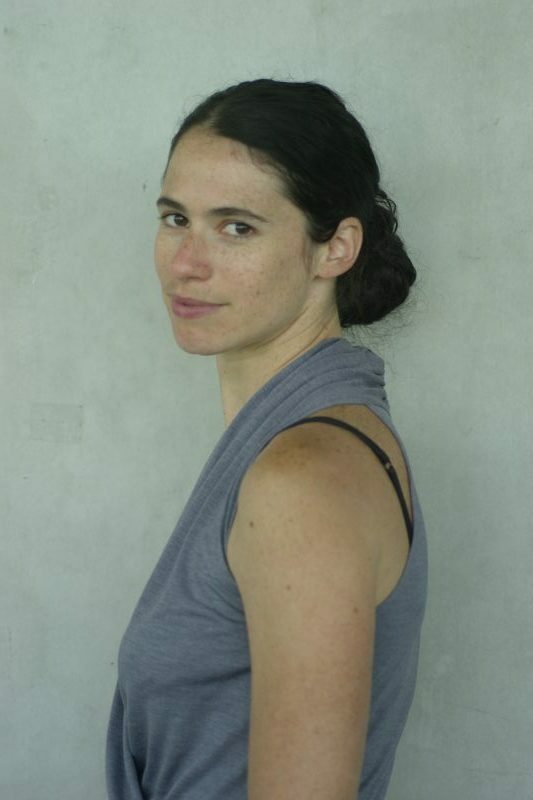 Here Yael worked as a freelancer, creating her own work and dancing with the choreographers Ari Rosenzweig, Jorg Schiebe and Christoph Winkler, among others. In 2007, she joined the Sasha Waltz and Guests Co., and has been working with her ever since, creating and performing many pieces such as Continu, Kreatur, Allee der Kosmonauten and Körper. Yael is a certified gaga teacher. Gaga is a dance movement developed by the artistic director of the Bat-Sheva Dance Co., Ohad Naharin, and has been teaching parallel to her dancing career. Gaga is the movement language developed by Ohad Naharin throughout his work as a choreographer and artistic director of Batsheva Dance Company. Gaga has two tracks: gaga dancers, the daily training of Batsheva and many other international dance companies/schools; and gaga people, open to the public and available for anyone at any age, without the necessity of previous training. The language of gaga originated from the belief in the ‘healing, dynamic, and ever-changing power of movement’. Gaga offers a creative framework to listen deeply to our bodies. We work with our physical sensations, in search of freedom and pleasure and to connect conscious and unconscious movement. Participants are guided through a series of multi-layered tasks with a sensitivity to who is in the room. Gaga encourages exploration between our weakness and strengths, awakens numb areas, and addresses physical habits. The classes offer a workout to investigate our form, speed, and effort while enhancing our flexibility, agility, and coordination. At the same time navigating through an array of physical qualities such as texture, delicacy, and exaggeration, culminating in a multisensory and physically challenging experience. With no mirrors or spectators, comfortable clothes, accompanied by music there is an air of non-judgmental exploration.